Latest update on our Uncovering our Medical Instruments project by our Digitisation intern, Kirsty Earley. Ever see advertisements that offer to solve all of your problems? “Live longer by taking this pill!”, “Grow back your hair with this miracle wax!” There are a variety of products out there that promise outstanding results, but do they actually work? Or is it all a con? We have good reasons to be sceptical of certain healthcare products; the exploitation of people through the manufacturing of useless healthcare remedies is not a new story. In fact, it has happened several times throughout history. One of the most popular examples is that of the Vapo-Cresolene lamp. 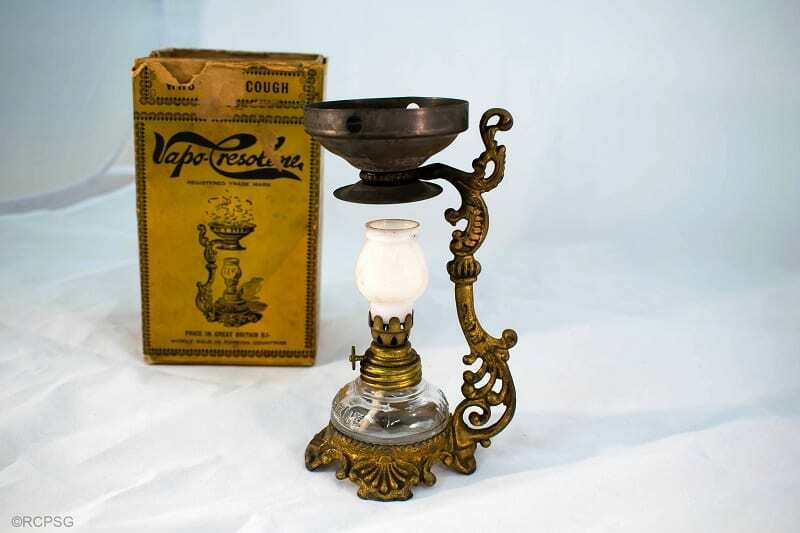 The lamp advertised as a cure for a variety of respiratory conditions, such as asthma and whooping cough. The idea was that it was a “Night Lamp”, providing light during the dark nights, but also providing a cleansing vaporised gas that opens up the airways and cures ailments. The glass container at the base of the lamp was to be filled with kerosene, dousing the candle wick. The lamp would then be lit for 10-15 minutes to heat up. Then, the cresolene, which is derived from coal tar, would be placed in the vaporiser tray above the flame of the lamp. Over time the cresolene would vaporise into the atmosphere. But did it actually work? Was there any evidence to show that this lamp helped to cure respiratory diseases while people slept? This product was manufactured by The Vaso-Cresolene Company, which was founded in 1879. It was advertised in such a manner that the vaporised form of cresolene had antiseptic “superpowers”, able to kill all germs incredibly efficiently. After an in-depth analysis of the chemical constituents of cresolene by the American Medical Association, it was discovered that the vapo-cresolene lamp used the simple disinfectant, cresol. Any such miraculous powers of this chemical were deemed false. 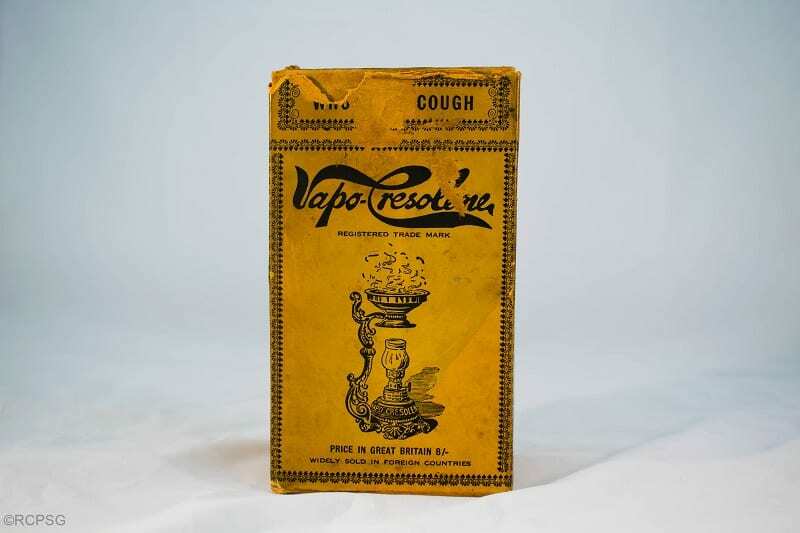 The popularity of the vapo-cresolene died out with time. However, these lamps can still be found in charity shops, antique shops, and even everyday households. So, have a look around and see if you can spot this false cure from history!